The Best Western Kingston is committed to excellence in serving all customers including people with disabilities. Will be charged to the support person for admission to The Best Western Kingston. We will notify the customers of this through a notice posted on our premises and on our website. In the event of a planned or unexpected disruption to services or facilities for customers with disabilities, the Best Western Kingston will notify customers promptly. This clearly posted notice will include information about the reason for the disruption, its anticipated length, and a description of alternative facilities or services if available. The notice will be placed in the lobby of the hotel and on our website. The Best Western Kingston will provide training to employees, volunteers and others who deal with the public or other third parties on our behalf. The training will be provided as soon as is practical. An overview of the accessibility for Ontarian’s with disabilities Act, 2005 and the requirements of the customer service standard. The Best Western Kingston’s plan related to the customer service standard. 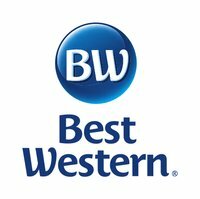 Customers who wish to provide feedback on the way The Best Western Kingston provides goods and services to people with disabilities can: e mail to [email protected] , write to Best Western Kingston at 1217 Princess St Kingston Ontario K7M 3E1 or can call 613-549- 2211 ext “0”. All feedback, including complaints, will be responded to in the matter in which it was communicated.ie. e-mail, regular mail or phone. Any policy of the Best Western Kingston that does not respect and promote the dignity and independence of people with disabilities will be modified or removed. Ramp for Tom’s Place “Pit” area.